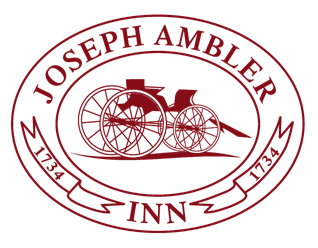 Enjoy the beautiful grounds of the Joseph Ambler Inn and nestle yourself in one of our many cozy spaces. Spend time with friends by the fireplaces located within our five historic buildings or relax and unwind on your own personal fireplace within your guestroom*. Upgrade to any Deluxe Room or Suite and soak in the two-person spa tub featured in those rooms. Make the night truly special and enjoy dinner in our Award Winning Restaurant. To book, please call 215-362-7500; there is someone available 24/7 to assist you. Please mention the Fantastic Friday Promotion when booking. *Rooms with fireplaces and/or patios based upon availability.